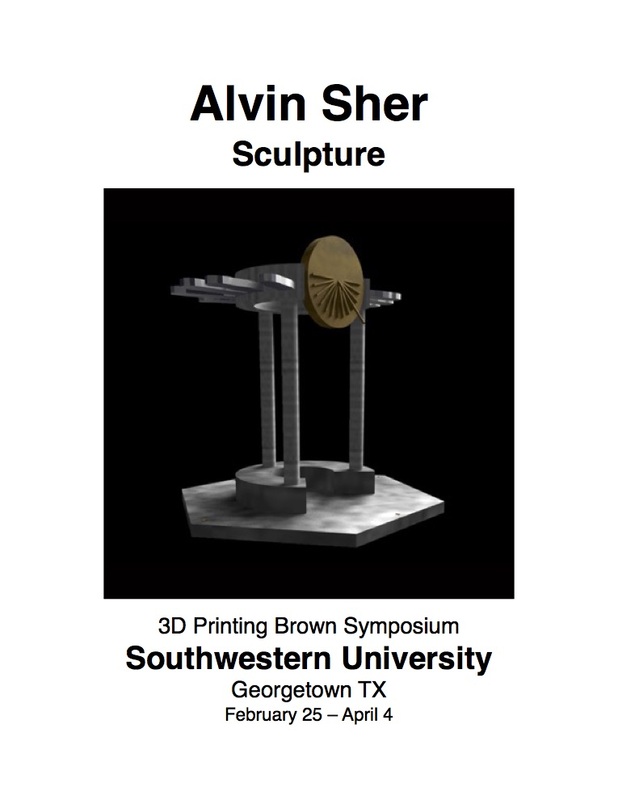 Sculptor and 3D pioneer Alvin Sher participated in a 3D Austin Texas Conference and Exhibition. 3D printing evolved in the seventies; Sher was invited to meet annually with an informal group of sculptors experimenting with this new medium. Each sculptor had their own direction and curiosity – for Sher, his models allowed him to create a detailed three dimensional object that he could use for presentations in a proposal. The sculptures were expensive to process and took a great deal of time and processing. He also continued his exhibition work using iron, bronze and steel with traditional materials and processes. The 3D process was basically created using digital drawings, ‘CAD’ programs (computer aided design). The created work was drawn for one’s ideas using many directions and somewhat impossible details. The computer coded language read it digitally to the printer device. The printer followed the digital drawing and guided minute particles layer by layer that were fused together digitally. The process was expensive but very accurate. Sher was asked to exhibit ‘Night Dial’, a created piece, and speak of his work and development, as an early pioneer in 3d Sculpture tech-knowledges. This 3-d sculpture ‘Night Dial’ is now exhibited in the collection of Southwestern University Museum.